Eeek! I've always wanted a mason jar stamp and finally I found one at Michael's on sale! ... and I think it was the only one left! YEAH! 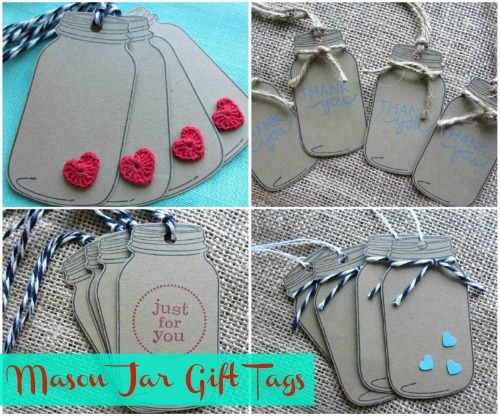 I've been making gift tags with them! They're so CUTE! P.S.. I posted them on my Facebook page first, before adding them to my shop! So if you see a set you like hurry over and leave me your paypal email address! !